Happy 60th birthday to Ruby Bridges! 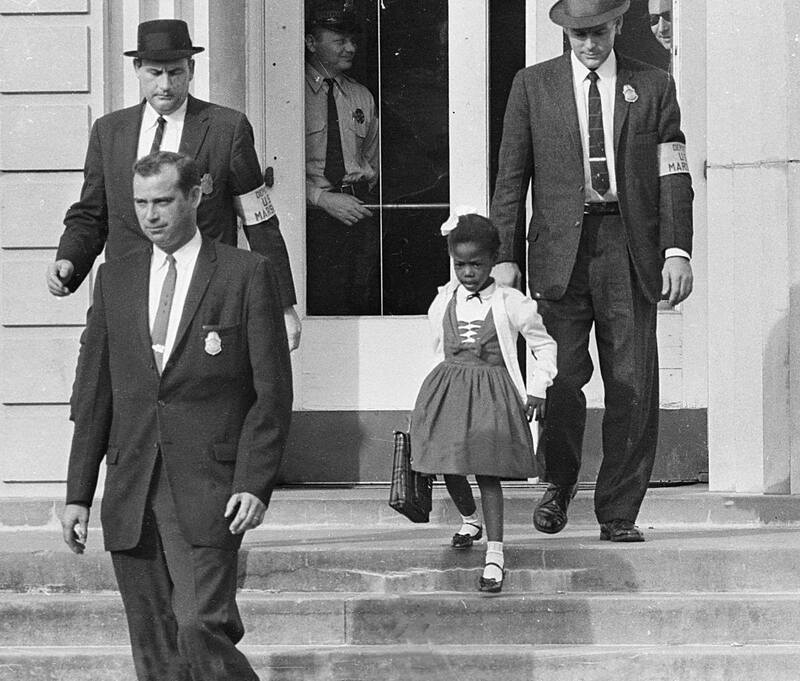 As a six-year-old, Ruby Bridges famously became the first African American child to desegregate an all-white elementary school in the South. When the 1st grader walked to William Frantz Elementary School in New Orleans on November 14, 1960 surrounded by a team of U.S. Marshals, she was met by a vicious mob shouting and throwing objects at her. Despite daily harassment, which required the federal marshals to continue escorting her to school for months; threats towards her family; and her father’s job loss due to his family’s role in school integration, Ruby persisted in attending school. The following year, when she returned for second grade, the mobs were gone and more African American students joined her at the school. The pioneering school integration effort was a success due to Ruby Bridges’ inspiring courage, perseverance, and resilience. There is also an inspiring film about her story called “Ruby Bridges” for viewers 7 and up (HERE). To give young readers more insight into the school integration struggle, Nobel Prize-winning author, Toni Morrison, has written an outstanding book, that’s filled with photos capturing the major desegregation events of the period, entitled “Remember: The Journey to School Integration” — for ages 9 and up — HERE. For more stories about the courageous girls and women of the U.S. Civil Rights Movement, visit our special feature on “Top Mighty Girl Books on Civil Rights History” HERE. For Mighty Girl stories for children and teens that explore racial discrimination and prejudice, visit HERE.